An absolute re-discovery! 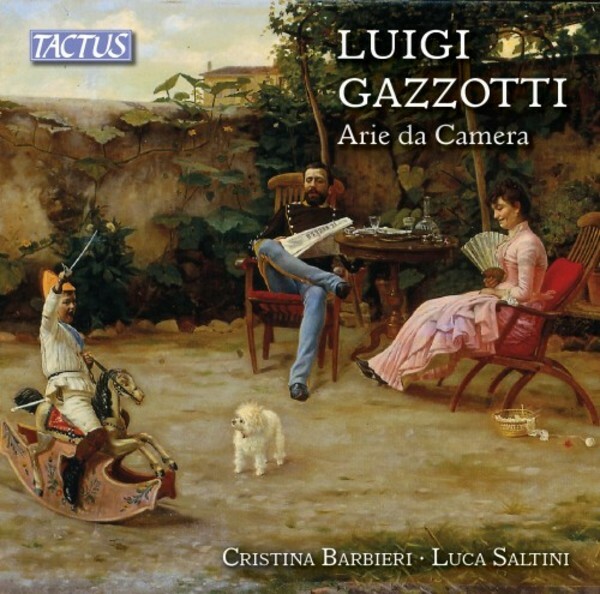 Soprano Cristina Barbieri (winner of the Luciano Pavarotti prize in Philadelphia) and pianist Luca Saltini (first prize at the �Czerny� prize in Turin and �Viotti� of Vercelli) are dedicating this CD to the songs of the composer Luigi Gazzotti (1886-1923) from Modena. His wealthy family and his father�s passion for music allowed him to receive a very solid musical training at the Bologna Conservatory where he graduated in composition with honours. Fascinated by poetry - especially that of Leopardi - he composed several chamber arias in a style ranging from romanticism to realism that in those days was experiencing its peak with the great Puccini, Mascagni and Leoncavallo. His music never comes to radical and innovative solutions (in those days taking place overseas or in Italy with the Generazione dell�Ottanta), yet is always characterized by effective expressiveness and great refinement with the introduction of small elements of innovation and research. 10. Canta, che vien l�aprile!